Let’s dance – it’s Friday !! 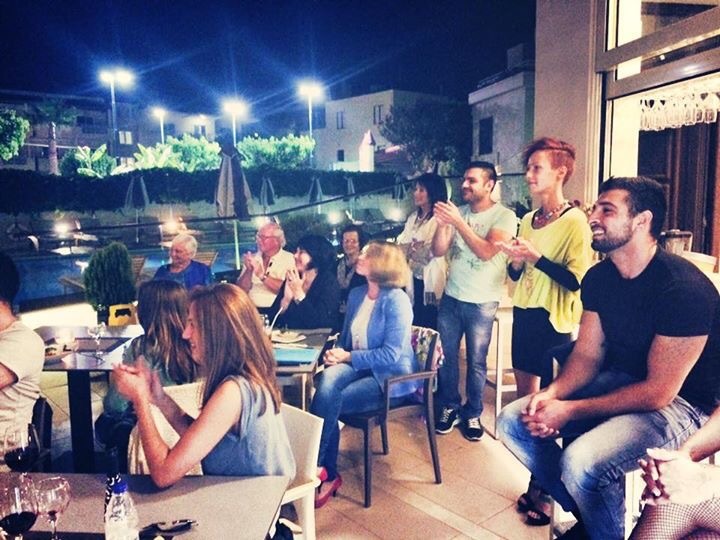 If you are so lucky to be in Agia Marina – Platanias on a Friday evening this summer, you should not miss the vibrant atmosphere at Valentino Pasta & Grill. Spoil yourself with an unforgettable dinner or cool drinks while our professional Latin dancers spellbound you with their colorful costumes and fabulous performance. Our Italian specialities are created by the finest ingredients, add a bottle of wine if you wish, and feel the rhythms as you enjoy the show for a night to remember.